Open your Contacts from your Android phone. Press the Menu button and then select the More option from the list of menu items. Select the Import/Export option to proceed. 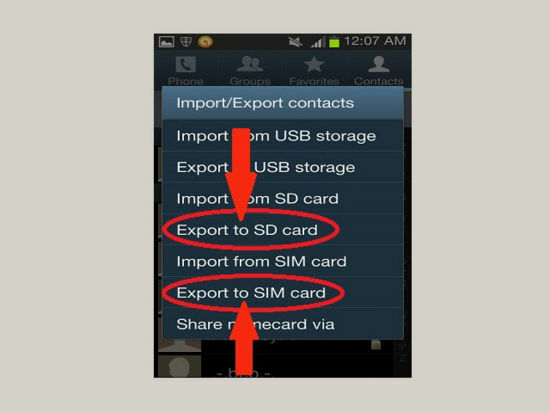 Now, after clicking on Import/Export, you can Select your choice of Export to either SIM card or to SD card. You can also Sync contacts with Google Gmail.